The owner of a park near Ranelagh in south Dublin has said he will go to the High Court to challenge a decision by An Bord Pleanála to allow Dublin City Council compulsorily purchase the land. Noel O'Gara bought the freehold on Dartmouth Square for under £10,000, but argued, as a site for development, it was worth €175 million. In its ruling today, An Bord Pleanála said the Compulsory Purchase Order was in line with the Development Plan and decided against him, in part, because he closed the park to the public last January. Speaking on RTÉ Radio's News At One, Mr O'Gara, from Athlone in Co Westmeath, said he is prepared to take his case to the Supreme Court if necessary. He also said he believed the Compulsory Purchase Order amounted to theft by the council. This morning, the board found that the council had the authority to proceed with the CPO. The board also said it based its decision on the fact that the park was an element of an architectural set piece, comprising Victorian houses which are protected. In a pointed reference to Mr O'Gara, who it described as 'the owner or reputed owner', the board also cited as a reason his refusal to grant public access to the park. An Bord Pleanála described this action as a 'recent failure' to allow the public 'reasonable and unfettered public access to land' for which it was constructed. The statement said the acquisition of the land would satisfy a community need, something which was necessary in the absence of an alternative. 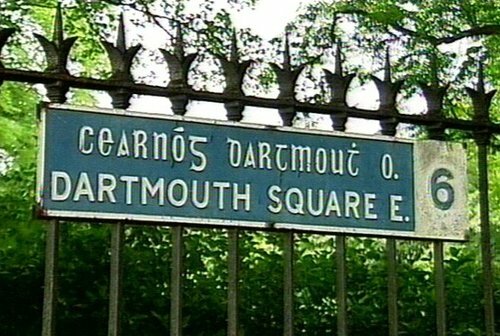 Dartmouth Square was originally owned by the Darley estate. The park was renovated in 1987 by Dublin Corporation, which offered to buy the land, but instead entered into a ten-year lease. Further inconclusive talks took place when this lease expired, and Mr O'Gara, through his company, Marble and Granite Tiles Ltd, acquired the freehold. Last January, Mr O'Gara shut the park to the public and stated his intention to turn the land into a car park, a plan which resulted in proceedings being taken in the High Court. Dublin City Council has welcomed the ruling. John Gormley, Green Party TD for Dublin South East, said action needed to be taken to prevent similar attempts to develop other green spaces in the city.